If you’ve been following the Graphene revolution and more specifically inov-8‘s investment into creating world first shoe outsoles, utilising this wonder compound, then you may be thinking “haven’t we been here before?” You would be correct. As with many projects that are pushing beyond the established, things have a habit of taking a bit longer then planned, but, fear not, this time, the MUDCLAW G 260 lives, breaths and is ready for you to buy for £140 of your British pounds! 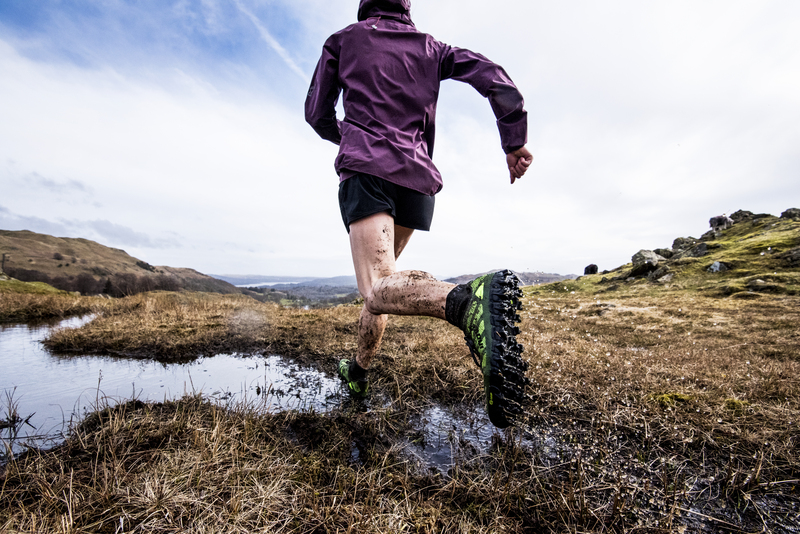 Friday saw the launch of the most anticipated product in inov-8’s line up over the past 12 months, the MUDCLAW G 260, combining one of the British brand’s flagship shoes, with graphene technology, unearthed a short drive down the M6 at Manchester University. Could this be the ultimate shoe for running through mud, bogs and all things saturated? Amongst the athletes to have rigorously tested the MUDCLAW G 260 is international Great Britain mountain runner Ben Mounsey. The 37-year-old has been wearing a prototype pair of the shoes for several months and has clocked up more than 1,100 miles in them (keep an eye on his instagram, he doesn’t half get about the UK and Italy). During that time inov-8 have also worked to further improve other elements of the shoe, including the durability of the upper materials. Given the MUDCLAW G 260 benefits from increased durability and grip on the outsole, hearing the upper has received further design, development and testing is welcome news. You want to make sure sure the upper will keep up with the outsoles lifespan. The new MUDCLAW G 260 is the first-ever shoe in this category to utilise graphene – the planet’s strongest material. 200 times stronger than steel, graphene has been infused into the rubber outsoles, making the studs stronger, more elastic and harder wearing. inov-8 Product & Marketing Director Michael Price said: “The rubber studs look more like claws or fangs. Through extensive testing we have found that these new shaped studs give the best possible traction when running or obstacle racing over muddy terrain and, unlike racing spikes, also provide underfoot comfort on harder ground. “By adding wonder-material graphene to the rubber it makes the studs 50% stronger, 50% more elastic and 50% harder wearing – statistics scientifically proven by graphene experts at The University of Manchester, whom we have collaborated with on this project. The outsole has a new pattern, with the a more pronounced edge and point to the claws. How they shed mud, self clean and conform to varying terrain under foot is intriguing. The upper looks possibly the cleanest we have seen from inov-8, with the protective rand being the only obvious visual break. It should be noted the rand wraps the entire heel cup, along both sides of the foot and over the toes. Combined with a 4mm drop, 8mm lugs and a new midsole, it has clearly been designed for speed, over any extremes of terrain that lay ahead in your path, aiming to carry, while protecting you. As I stated at the beginning, the MUDCLAW G 260 is available to purchase now, and given the wait, I anticipate they wont hang around for long. I’ve thrown my hand firmly into the air for a pair for review and if I manage to land a solid catch, will do my best to put both grip and durability to the test. If you’d like to see more day to day running, riding and general life, follow me on instragram & YouTube. If you don’t already, subscribe to the website.